Is our choice being limited by lack of competition? Pay TV has delivered "significant benefits" to users since it was first launched, says Ofcom, but is this still the case? Media regulator Ofcom has announced that it is to launch a review of the pay TV market in the UK, following complaints that BSkyB's dominance is limiting competition in the sector. In its preliminary consultation document, Ofcom acknowledges that pay TV has delivered "significant benefits" to users since it was launched in the early 1990s. But it also says that there are now "some warning signs that consumer choice may be limited." Ofcom says that it's concerned about whether the owners of premium content have any incentive to make it available to rival carriers. 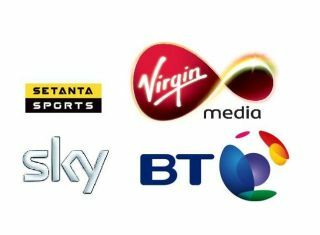 The announcement of the review follows complaints against BSkyB earlier in the year by a group comprised of BT, Setanta, Top-Up TV and Virgin Media. The group first contacted Ofcom in March following a prolonged dispute between BSkyB and Virgin Media over content carriage. To date this dispute remains unresolved, and households supplied by cable lack some Sky channels. The group also claimed that BSkyB's financial might is a barrier to competition as only BSkyB can afford the most desirable content before deciding who, if anyone, to sell it on to. Ofcom's review will look into this accusation in more depth, but as part of its initial response Ofcom has expressed "concerns" over whether firms are able to "compete effectively at the wholesale level for premium content". The regulator has also voiced concerns over the enforcement of so-called buy-through products. This is where buyers must first purchase a 'basic' package before being able to purchase any premium or additional products. In response, BSkyB has rejected the claims, alleging that it faces immense competition itself from domestic free-to-air broadcasters such as the BBC. BSkyB also claimed that the opening up of the football market to rival carriers like Setanta offers proof that there is indeed healthy competition within the sector.